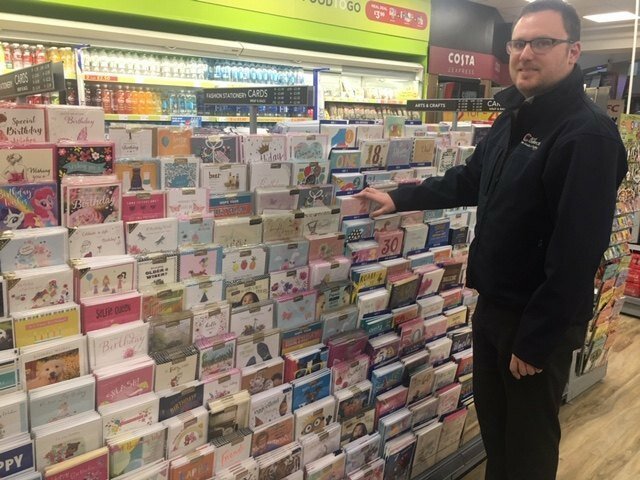 Greeting card franchisor, Card Connection are proud that to have Daryl Perkins, it’s franchisee for Nottingham, named as a finalist in the prestigious British Franchise Association HSBC Young Male Franchisee of the year 2019. 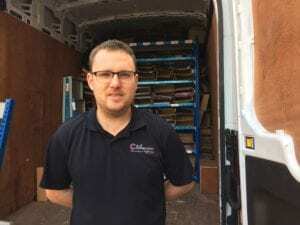 “Reaching the shortlist for the Young Male Franchisee of the year award is testament to Daryl’s hard work and dedication over the last 6 years” said Michael Johnson, managing director of Card Connection. Andrew Brattesani, Head of Franchising at HSBC adds “Daryl’s franchising journey began at a young age. Card Connection supplied the convenience store where he was working and he quickly saw the potential of the product. Having successfully grown his first Card Connection franchise he replicated this success through buying further territories”. Daryl Perkins is now in the final stages of purchasing the Peterborough territory, which will be the fourth territory he has purchased since joining Card Connection’s network back in 2013. Card Connection supply greeting cards, gift bags and wrap on a ‘consignment’ basis, while also provide display equipment, free on loan, to minimise retailers’ costs and maximising their profits. As the retailer doesn’t have to buy the stock, they only pay for what they sell. Judging takes place on April 17th & 18th, with the winners of the HSBC Franchisee of the Year Awards being announced at a black-tie gala dinner and presentation evening held at The Vox, Birmingham on the 27 June.